An Egyptian woman is seeking a divorce from her husband after a four marriage because he refused to buy a new TV. From the not-so-accurate account of Lady Doritos to a Florida boy being stuck in a claw machine, here are some of this week's strangest headlines from around the world. 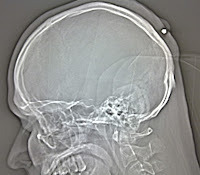 Man Shot in Head - Didn't Notice! A Polish man living in Germany was shot in the head five years ago and only recently found out. 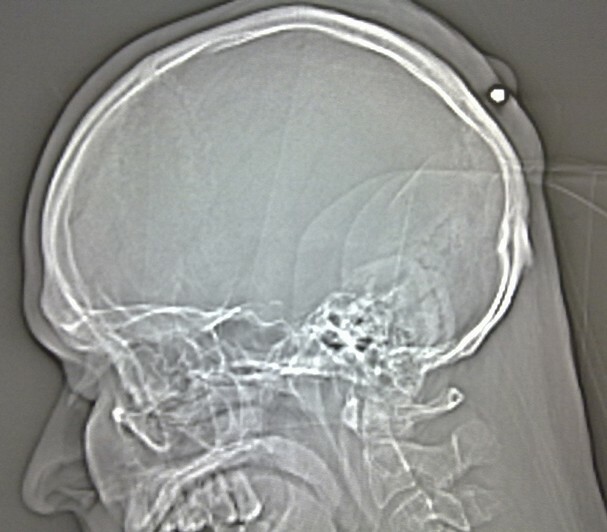 He remembered being hit on the head during a New Year's Eve party but was too drunk to care. He recently went to the doctor's with a lump on his head. Surgeons dug out the bullet. At first glance, it seems strange that you can be found guilty when you are in your own home, but the fact is a child saw him naked. "If you live in Virginia and don't own a bathrobe, it might be a good time to get one. A judge convicted a Virginia man of indecent exposure Friday after he was seen through a window strutting around naked inside his house." After reports that an intruder had broken down a door of a house, Texas police arrived to find the culprit having a bath. After a short struggle (always dangerous in a bathroom) the suspect was arrested and taken into custody. Well, at least he came clean. Apparently over 30% of the dogs in animal shelters in some parts of California are chihuahuas! The trend of small dogs being carried around like a toy is being blamed. A novel solution is being considered - ship them to New York! Irish School asks pupils to bring own toilet roll..
A school in Ireland beset with budget woes, has made a request to parents to send in a toilet roll with their children, so as to reduce the paper budget (or is that stationery budget?). When I was at school a lot of the homework we produced could have been used as toilet paper - it wasn't much use for anything else! Is there a patron saint of window cleaners? If there is it must of been looking out for this guy! The window cleaner fell and his safety line didn't catch. He bounced off a small roof and landed on the gound. He broke a bone in his foot and cut his leg.